Life as a potter is not the easiest, you often find that those who do turn to the craft have some sort of spiritual reasoning. Often they’re asking the fundamental question, “what can I do to make my life fulfilling?”. Artists like this tend to derail from the mainstream, bringing forward a plethora of influences from past and present to create work that transcends time. 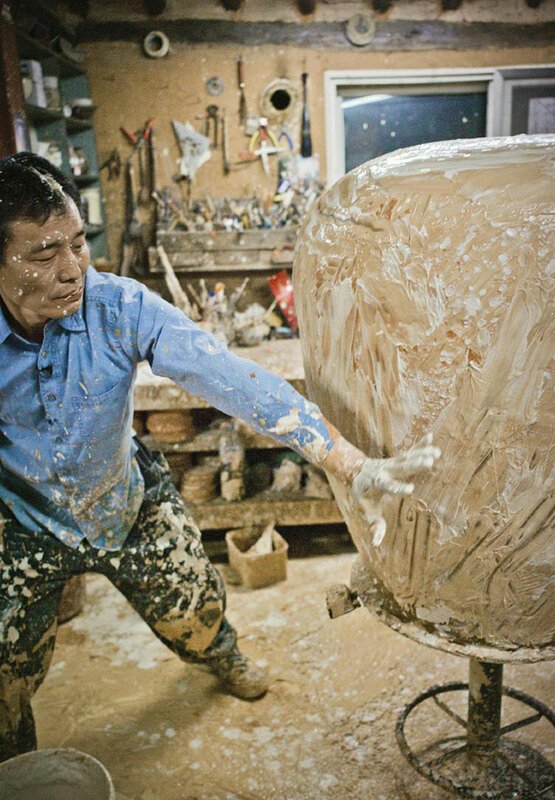 That’s exactly what happened with Lee Kang-Hyo, one of Korea’s finest living potters. 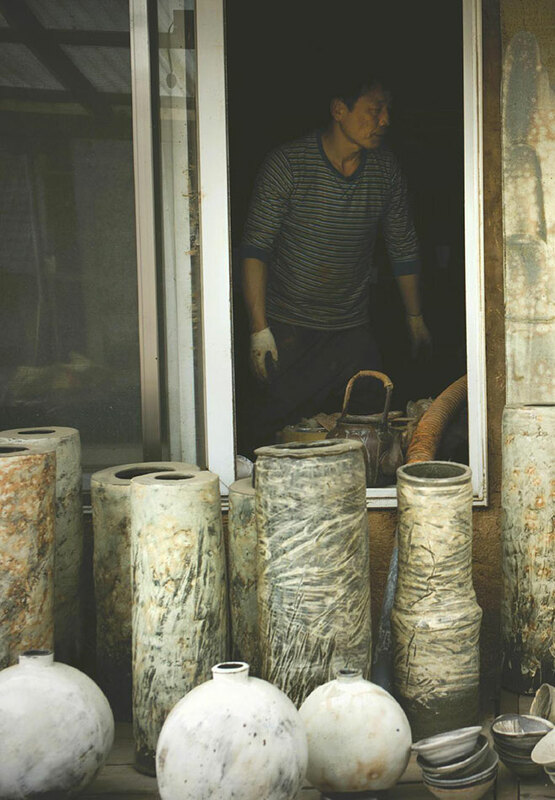 To coincide with the Goldmark Gallery exhibition featuring the work of Lee Kang-Hyo himself, they have taken the time to document the work of Lee Kang-Hyo using both film and photography, visiting his studio and workshop where he creates a mixture of tableware and sculpture. 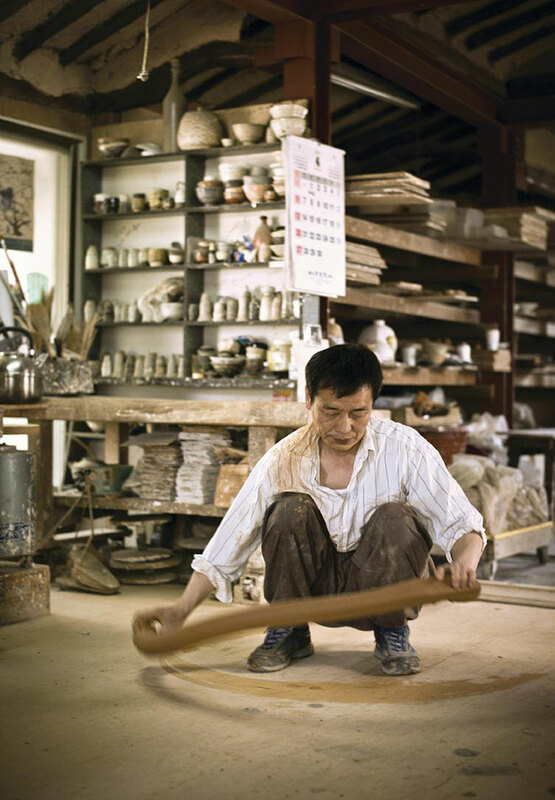 His process starts by slapping a heavy slab of clay onto the ground until it resembles a long piece of rope, which he then preceded to coil around the base of the pot using the knuckles of his right hand. 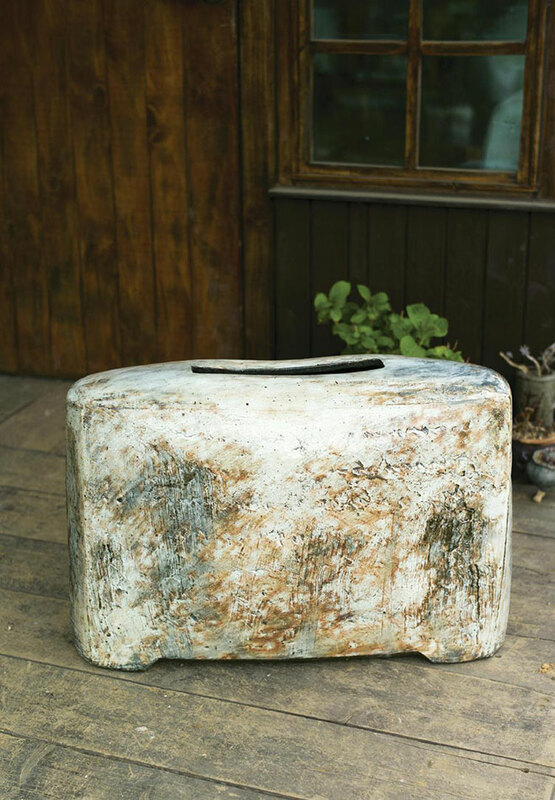 Lee then uses two wooden paddles to beat the inner and outer walls in to shape, each time stopping to analyse the form and work out the natural way of the clay. 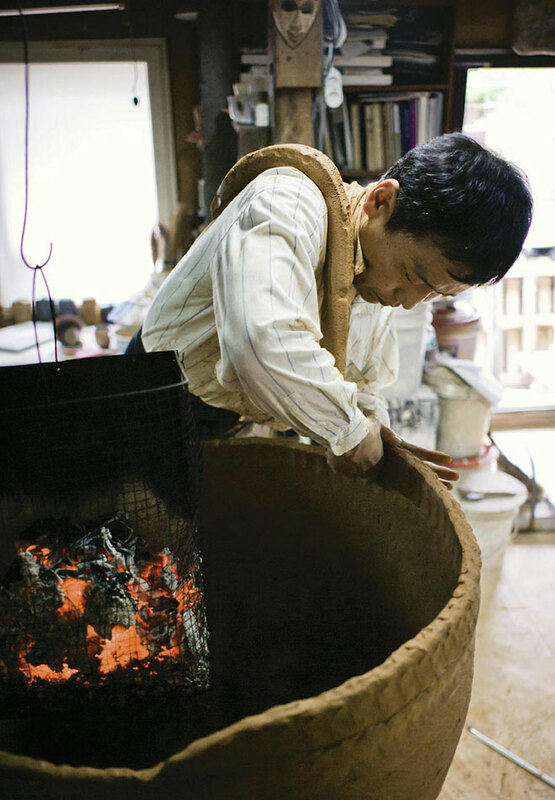 As you’ll see in the film below, Kang-Hyo is quite a character with lots of energy, so it’s no surprise then that he brings this spirit in to his pots. 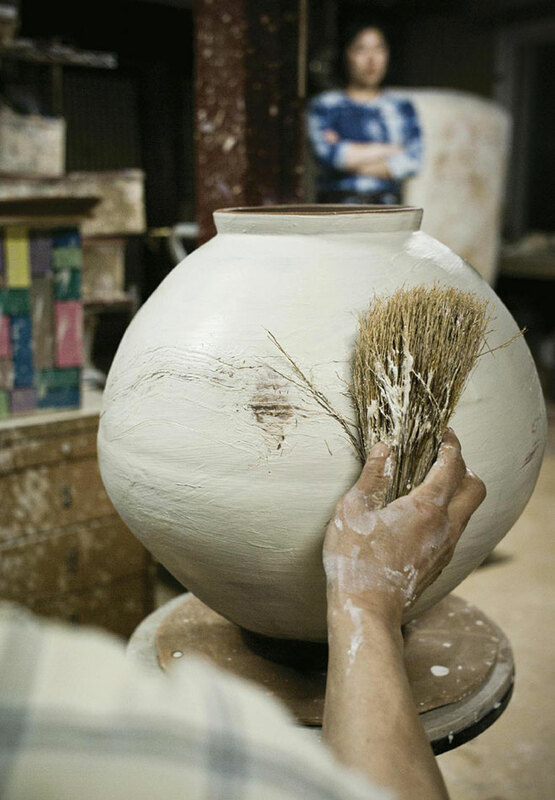 You will see this in his glazing method on the bigger forms, where he splatters the glaze and almost performs the process in a ceremonial way. 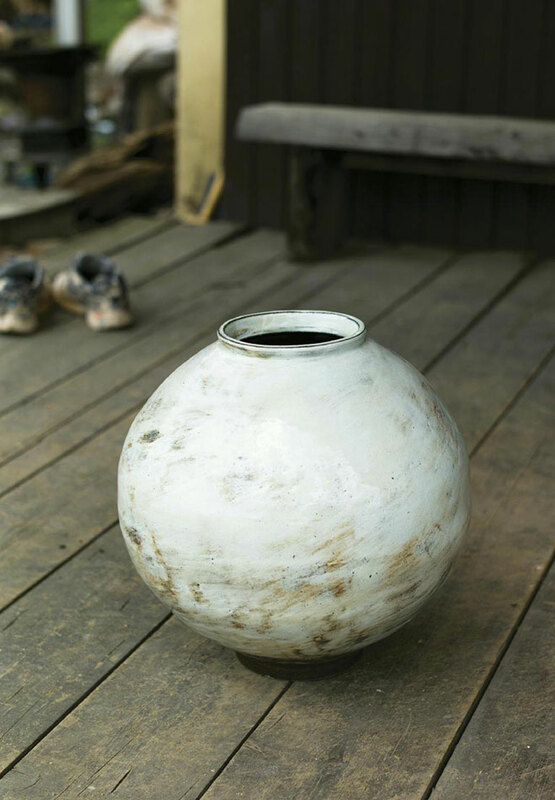 Overall his pots are wonderfully creative but still have a simplicity about them that’s instantly appealing. I hope you enjoy the photos of him working here, and will watch through the 35 minute documentary to learn more about Lee Kang-Hyo and his work. It’s sure to leave you inspired for the rest of the day.